Runners, football players and other athletes often suffer from foot fractures as a result of injury or overuse. But unexplained breaks in the foot could be an early sign of osteoporosis, a bone disease that affects more than 28 million Americans and accounts for over 1.5 million bone fractures annually. Healthy bones can be pushed past their limits through physical activities such as sports or strenuous work, but in a weakened state, osteoporosis affected bones can fracture during normal activities such as standing and walking. Osteoporosis causes the bones to become porous, and this puts them in a weakened state. As the disease progresses, it can be difficult for patients to take part in the activities they enjoy without fear of suffering a broken bone, especially in the feet. Women over 50 have historically been warned to look for signs of osteoporosis as they’re typically identified as high-risk for the disease. However, younger people and men can also be affected. Anyone experiencing unexplained and increasing pain with walking accompanied by redness and swelling on top of the foot should seek the opinion of a foot and ankle specialist. 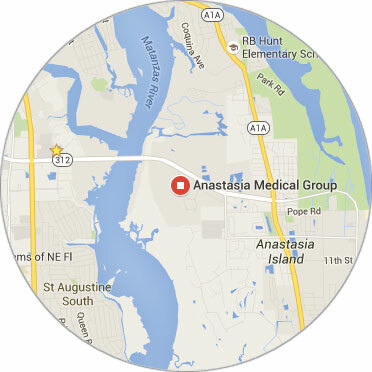 At Anastasia Medical Group, we have the resources and the team to properly diagnose osteoporosis. We can perform bone densitometry tests with an x-ray. This allows us to measure calcium and mineral levels in the bones quickly and easily. With a proper diagnosis, we can develop a treatment plan and get you back to living your best life. Dietary changes, supplements, and/or medications may be part of your treatment plan. Protecting the feet from foot fractures due to osteoporosis is crucial, and Dr. Pereira will help you choose correct footwear and possibly orthotics to help alleviate pain and prevent stress fractures. The most important thing to do is address any foot pain you may be experiencing right away. If you think you may be at risk for osteoporosis, or if you’re experiencing the symptoms of a foot stress fracture, contact Dr. Pereira for an expert foot and ankle examination.